The ICES advice for cod in the Kattegat and their Baltic Fisheries Assessment Working Group report have some sensational details. It is an example of the state of the environment in EU fisheries policy where progress in implementing legislation has been uneven. In the past 40 years, landings have crashed from an estimated 20,000 tonnes annually to less than 300 tonnes in 2016 and 2017. That is a decline of 98.5%, but it is still is an improvement from less than 100 tonnes per year in 2012-2013. ICES notes that “the current stock size is among the lowest observed”. Since the cod stock collapsed, there is no targeted fishing for cod in the area, rather it is caught as bycatch in the fishery for Norway Lobster (nephrops/langoustine) where it is largely illegally discarded. Over the same 40 year time period, landings of Norwegian lobster have increased and remained stable, with landings of about 3,000-5,000 tonnes per year. That is reminiscent of the situation in the northeast of North America, where lobsters have thrived in the absence of predators. This happened concurrently with the decline of the cod, which is a major predator of Norwegian lobster. 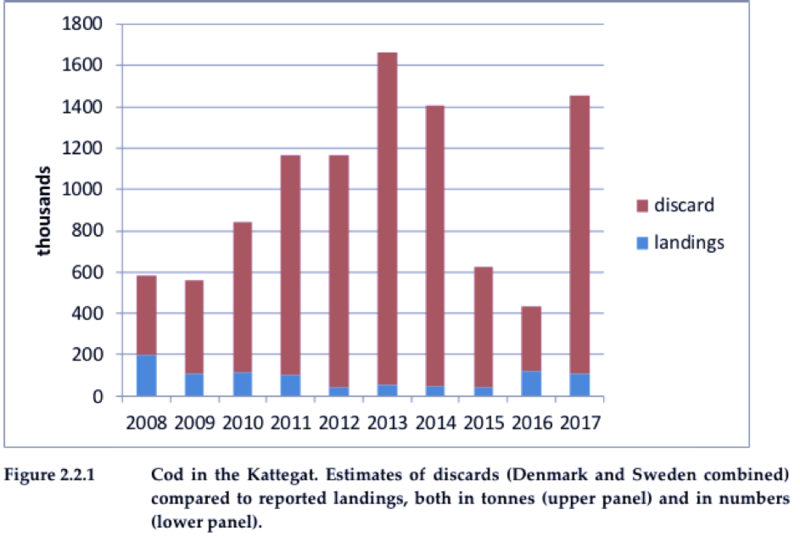 The vast majority of Kattegat cod is discarded and since the introduction of the discard ban there have been calls to remove TACs for potential choke species. However, research has shown that more selective gears are already available. Quotas and management measures for these two stocks will be decided at the EU December Council. 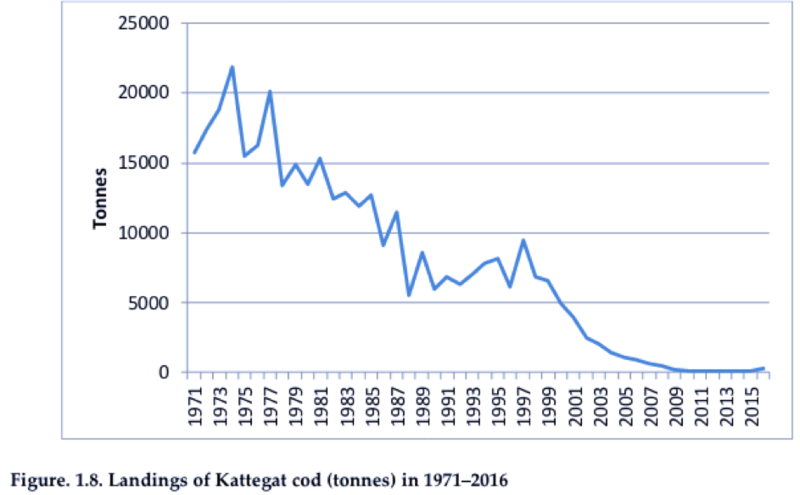 However, every year since 2011 the catches of Kattegat cod have exceeded the agreed TAC. Therefore it may be time to enforce additional policies such as restricting the fishery to those using selective gears, increasing controls and making use of extensive closed areas.